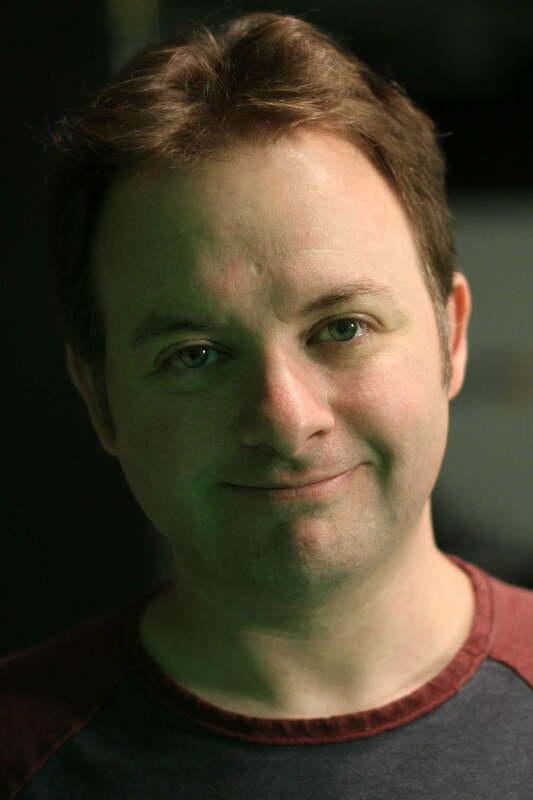 One of the most exciting announcements at Sony’s PlayStation Experience in Las Vegas came from an unexpected source: David Jaffe. As the creator of PlayStation tentpoles like Twisted Metal and God of War, Jaffe’s presence wasn’t a huge shocker. But it was a surprise — albeit a pleasant one — to see the famed designer finally announcing a brand new IP. 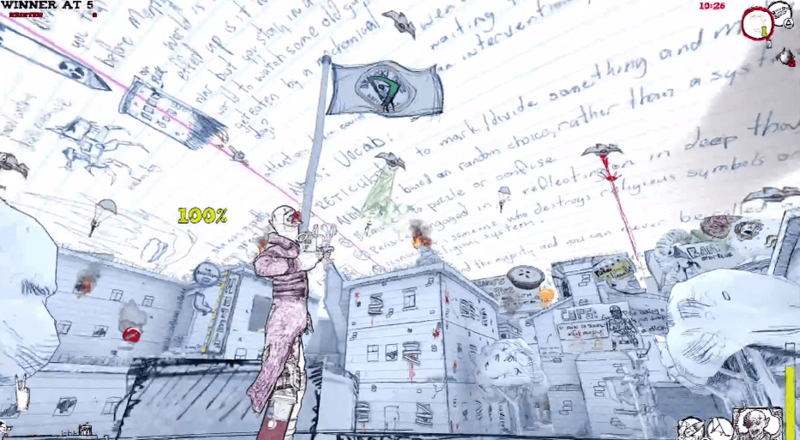 Drawn to Death is a third-person multiplayer arena shooter rendered in a hand-drawn style that resembles a troubled teenager’s notebook doodles. And that’s because the game’s characters and world are those doodles; everything you see in-game is created by a fictional protagonist, mostly unseen save for the times when his hand crashes down from on high to sketch new elements into a battle or give players a ride perched on clenched fingers. Jaffe might object to the term “troubled,” though. “I had friends in high school. I had friends in junior high. I wasn’t, like, you know, off in the corner eating lunch by myself. But you always kind of feel a little bit like a misfit, right?” he told Digital Trends. Jaffe has never been afraid to speak his mind. That’s practically his defining characteristic, especially if you only know him as a public figure on the Internet. But watching Jaffe interact with his fans reveals another side, and plenty lined up in Vegas to snap a selfie and chat about the impact his work has had on their lives. Game development can be a private or solitary experience, and all too often the only feedback Jaffe gets comes from the Internet. “There are days where you just get hit by such meanness,” he said. That’s why something like PSX has value for him as a creator; meeting with fans in person helps him feel a more solid connection with the community that gathers around the game after it launches. 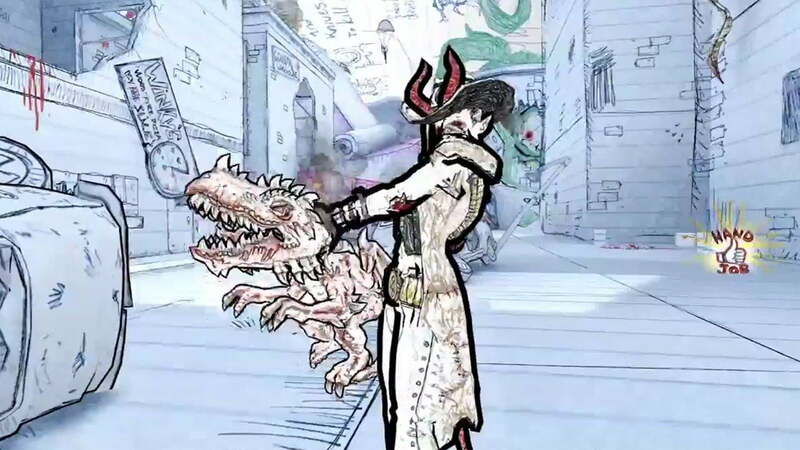 The idea for Drawn to Death originated with a dodgeball video game Jaffe tested many years ago. Since he has no artistic talent — or so he claims — he imagined his own dodgeball game, with dorky-looking stick figures, and over time that morphed into the notebook-scrawled, stylized shooter we see in Drawn to Death. After co-founding Salt Lake City studio Eat Sleep Play in 2007 and then leaving the company five years later, Jaffe’s happy to be back doing internal Sony development. His kids are getting older and he doesn’t feel the need to spend so much time at home with them. Luckily he learned that Sony is the best fit for him after he and his fellow developers at The Bartlet Jones Supernatural Detective Agency shopped Drawn to Death around to multiple studios—including Microsoft. 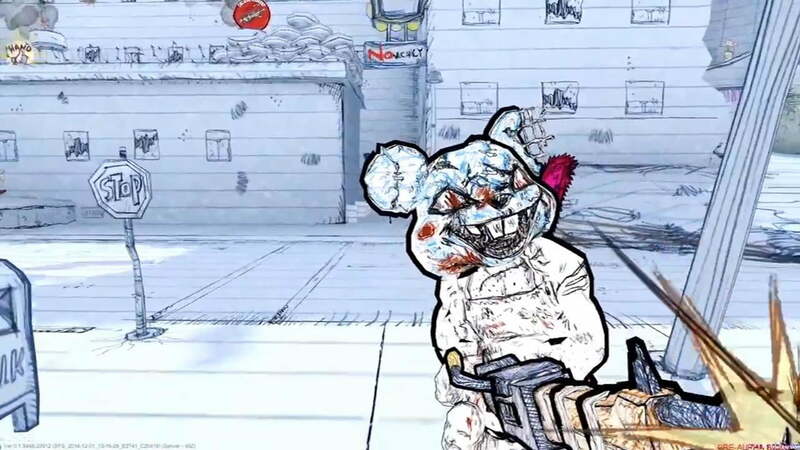 Drawn to Death has no single-player mode, though there are story elements dispersed throughout it. The central character uses his creations to help work through the hardships in his life, and players can find clues during matches that help illuminate what the fictional creator of everything is going through. He recognizes that everyone’s experience with a game is personal, though, and that it doesn’t take a complicated narrative or single-player campaign for players to discover something meaningful. 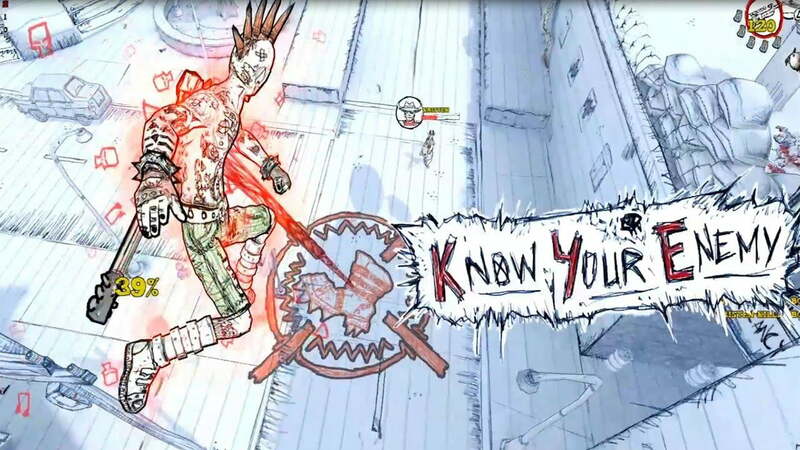 Drawn to Death is scheduled to launch in 2015 exclusively on PS4. How much will Sony's PlayStation 5 cost? Official pricing will stay under wraps for months, but early details provide enough information to make a guess. Our estimate suggests the price will be higher than fans expect to pay. Mortal Kombat 11 DLC characters reportedly leaked: Who’s next after Shang Tsung? A datamine on Mortal Kombat 11 reportedly revealed all the DLC characters that will be added to the game's expansive roster. The leak corroborates the hint that the anti-hero Spawn is on his way to joining the fighting game.